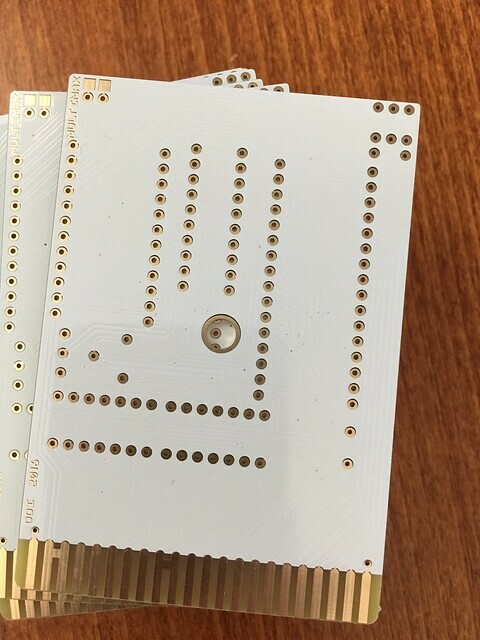 So as you can see, I did the PCB in white (looks incredible) and I also did ENIG (gold) for the traces. Longevity is increased and it is visually appealing!! If you are interested in one (I did a limited quantity (15) so as not to step on the toes of the original designers) please use the contact form to let me know, the cost is $35 plus shipping. I will post an update once I am ready to ship. It will go in the following order. Me, Friends that contributed to the design (hi DDI) pre-paid orders, pre-orders , anything that is left after pre-orders (or pre-orders that do not receive payment within 7 days of being notified) will be sold on ebay. You can do a paid pre-order HERE!